Regardless of your political beliefs; and yes your political beliefs are no different then religious beliefs. Those special people inside forces that form our thought processes and opinions occur around the clock for every person on earth. These are all uniquely evolving beliefs. We have come to a place in history where are understanding of political opinions within the two top political parties, the democrats and republicans has developed and implemented a “Resolved Stalemate“. With a resolved stalemate comes a by-product and weakness call “Anti Progress“. That reason some of the political stands that political figures makes sense to us and the rest does not. What becomes important is to align ourselves with a politician who we agree with, and is focused on building a brighter future, this brighter future comes about by creating “Progress“; and this progress is tightly connected to technology and educating people. To further emphasize the importance of technology and educating people. History evolved the industrial revolution occurred, technology gains occurred, and higher levels of education gained its prominence because people less educated then our current generation used their intellect to avoid “Anti Progress“. Hence, the natural by-product became “Progress“. Today science will not launch space satellites to look for “Anti Progress” and its origins. Because science today has simply fallen into the unenthusiastic grips of “Anti Progress”. (A Very Long Sentence on Purpose) From the early 1500 to the early 1900 people “Progress” brought us astonishing useful innovations; stocking frame, a mechanical device for knitting stockings, steam engine, the spinning jenny, the power loom, electric motor, analytic engine–the forerunner of the computer, telegraph, photographic paper, pneumatic tire, practical sewing machine, Trans-Atlantic Cable, Charles Darwin’s The Origin of Species, dynamite, telephone, phonograph, Microphone, incandescent lamp, skyscraper, machine gun, automobile, radio waves, Eiffel Tower, Diesel, Cinematograph, X-rays, wireless telegraph, Aspirin, first powered flight, and Henry Ford invents the manufacturing assembly line, to mass-produce the Model T. In the 20th Century, we simply exploited invented technology, this is industrial “Progress.” Some will argue that the 20th Century brought us space exploration, television, cell phones, IPods, the Internet, and flat screens. This maybe obvious to us today, however the technology began is rooted in the 19th Century. The obvious example is the current space shuttle retires from service this year and its replacement has never flown or is adequately funded to make a viable spacecraft and a viable space program. Proof the “Anti Progress” has become our generation’s normality. The question that arises, has our generation lost it adventure gene, has our generation lost its creativity gene? The short answer is that some of the reasons were political, yet many of the problems were technical. Politically motivated poor spending brings us no spending in our need to advance technology and educating people. Advancing the necessary technology with educating people will bring us the needed Progress for the next great spacecraft. Making best use of technology and educating people come about by strong inspirational leadership that represents all the people. Today our leaders only represent those who contribute graciously to their campaigns and the rest of the people fall short. The fall short component is a major contributor to “Anti Progress“. Why is technology and the education process so important, it provides the means for society to promote the ability of people to dive in and work directly hands-on with everyday problems regardless of the complexity. What becomes the natural by product is the gained ability to sustain and share positive knowledge that encourages multiple solutions. The multiple solutions become the learning curve applied to other areas of our society that leads to greater opportunities for all of society. Greater opportunities is the force that eliminates the “Anti Progress” death grip on society and promotes Progress that we can count on! “We The People” find ourselves searching for the next great leaders. The next great leaders happen when we align ourselves with a politician who we agree with, and when we align ourselves with a politician focused on building a brighter future. This brighter future comes about by creating “Progress” through technology and educating We The People! Free Trade Agreements (FTA) Are Not Free For American Manufacturing! Free trade agreements have a devastating cost to American Manufacturing that materializes in reduced and lost wages, and jobs that do not occur in the United States at all. Free Trade Agreements are designed to benefit the other guy! Our current high unemployment is despairing proof of that. In 1950, manufacturing was about 35% of total employment. In 2004, this number dropped to only 13%, and in 2010, the number was only 5.95%. In the last 50 years, the United States’ poor economy and high unemployment resulted from government policy changes such as free trade agreements (FTA). Currently, the United States has FTAs with 15 countries: Australia, Bahrain, Canada, Chile, El Salvador, Guatemala, Honduras, Israel, Jordan, Mexico, Morocco, Nicaragua Oman, Peru, and Singapore. The seminal research by Robert Scott (2001), while engaged in writing for the Economic Policy Institute, addressed why FTA core principles better supported the 50 years of the strategic industrial growth policies of Japan, Korea, Taiwan, Malaysia, and China than United States Manufacturing. The Asian model simply protected their industries by investing heavily in manufacturing process research, employee education, and subsidizing R&D investment. This strategic industrial growth policy represented the complete opposite of what has occurred here in the United States (Scott, 2001). The United States failed to learn lessons from their past about protecting manufacturing industries and consequently, continues to lose manufacturing jobs. The focus must be on groundbreaking innovation through reduced government restrictions, which allowed for new ideas with a predictable structure that delivers a predictable future (Heath, 2007). Richard Freeman and Knight Kiplinger (2008) studies regarded government as an influence on directional change that effected market share and its contribution to positive business growth. How the government encourages business to seek out new market opportunities determines the level of economic success that is achievable nation-wide (Kiplinger, 2008). All of these show there is a positive role government can make to the revitalization of the manufacturing sector staged for taking advantage of technology. Developing the best talent based educated workforce, and bringing about the necessary change to develop improved industry best practices. How you can help! 1) Buy made in the United States products. 2) Contact your senator and congressional representatives, and ask for, no demand laws that protect the American Workforce. 3) When these politicians will not listen, vote them out, and seek out politicians that are pro American Manufacturing. Building United States Manufacturing to the greatness it once was begins by Americans promoting United States’ Manufacturing one new job at a time! Heath, D., Heath, C. (2007). THE MYTH ABOUT CREATION MYTHS. Fast Company. Boston 113(61), 1. Scott, F., Butler, J., & Edwards, J. (2001). 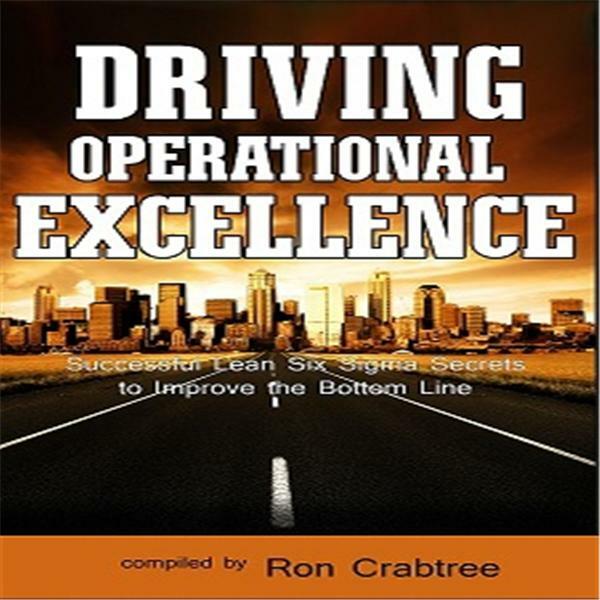 Does Lean Production Sacrifice Learning in a Manufacturing Environment? An action learning case study. Studies in Continuing Education, 23(2), 229-241. Leaky Pipes Are Not So Bad! The house I live in was built around 1770; indoor plumbing was not even an option when this house was planned. The Roman Empire had the oldest advanced plumbing technology, which did not make it to the new world. This high tech indoor plumbing brought a certain degree of water and sanitation to the masses, or at least the upper middle classes. The New Englanders who build my house had no such recorded aspiration. An Out House in close proximity of the back door to better accommodate those New England winters. No reading lamp or comfortable seat was needed; the biological function was direct, to the point. Around the 1880’s the outdoor Out House found its way into the attached wing with a first floor horse stable, where the livestock’s warmth contributed to the entire winter experience. Last Saturday night while on vacation in Virginia, this blogger received a frantic phone call from one of my offspring is who grew up with modern indoor plumbing. The mere act of using the second floor bathroom resulted in a noticeable water leak coming from the family room ceiling. My first question during this family alert, was it leaking on my flat screen TV? A safe bet, the Roman’s and early New Englanders did not have that concern. Luckily, our vintage dwelling has two fully functional water closets, and redundancy today has won out against the perils of modern plumbing. During this same period the cable networks headlined the monstrous destructive tornadoes that scattered the South and Southeast over the last week of April 2011.Tornadoes up to a mile wide that traveled over 100 miles from Tuscaloosa, Ala., Cullman, Ala., Birmingham, Ala., Hackleburg, Ala., Smithville, Miss., Ringgold, Ga., Cleveland, Tenn. and Glade Spring, Va. Friends of mine in Alabama were safely tucked away in their basement closet with their three dogs awaiting the passing of another tornado. Weather events such as those sure make leaky pipes unimportant. Those of us who live in the northeast tornados are rare and we have much to be thankful for, an occasional leaky pipe becomes a welcomed alternative. Leave a comment	| tags: an occasional leaky pipe becomes a welcomed alternative., Dr. Pietro Savo, The Roman Empire had the oldest advanced plumbing technology, Weather events such as those sure make leaky pipes unimportant. Those of us who live in the northeast tornados are rare and we have much to be thankful for, which did not make it to the new world. | posted in American Dream, AMERICAN WRITER, NEW HAMPSHIRE "Live Free or Die."